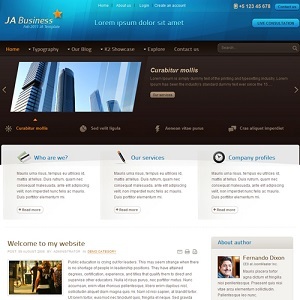 Joomlart is leading the way with JA Business - A Joomla Business template designed specifically to be adaptable to all kinds of business projects. This professional Joomla template is compatible with Joomla 2.5 & Joomla 3. JA Business comes pre-loaded with Joomlart's amazing assortment of powerful modules and plugins. 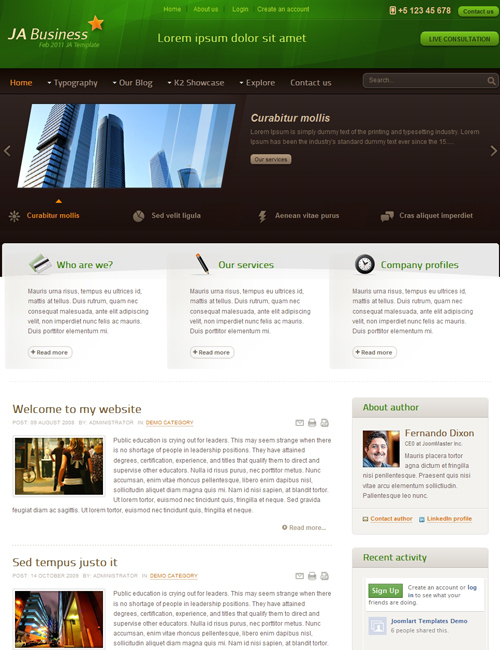 Whether your need a site to target your marketing, consulting, or business development, JA Business is a powerful template to jumpstart your efforts to win the world!